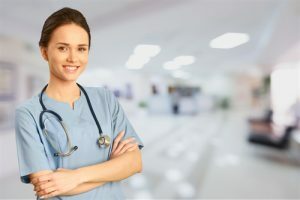 Rehabilitation nursing is a process that assists people with short or long term disabilities or chronic illness to gain and maintain their maximum level of functioning. Patients learn to adapt to their level of ability, and also engage in a therapeutic environment designed to increase and retain their various abilities. Treatment programs are designed and implemented with the goal of achieving high quality outcomes for patients and families. Rehabilitation nurses have the specialized knowledge and skills to provide care and rehab services to people with illness, injury or disabilities. In coordination with members of the interdisciplinary team, they plan, implement, and evaluate the course of treatment for each individual client in their care. Rehabilitation nurses are committed to a holistic approach to meeting their patients’ medical, vocational, educational, psychological and spiritual needs. Our nurses and therapists at Nursing and Rehabilitation Center Dyer, are skilled communicators, who develop strong relationships with their patients, families, and other members of the team. They educate patients and families about the diseases and disabilities affecting them, and the self-care strategies that they need to move toward wellness. They also guide patients and their families toward independence and achieving their goals. The role of a rehabilitation nurse is multi-faceted and has a far-reaching impact on patients and their families.